What a cute game for the holidays! 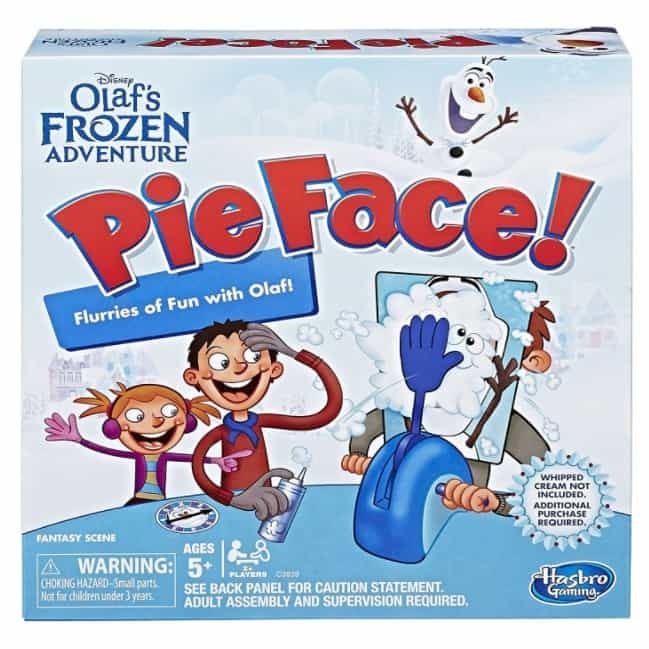 The Pie Face: Disney Olaf’s Frozen Edition is on sale for $7.99 at Amazon right now. That's 64% off the list price of $21.99! Includes pie thrower, throwing arm, 2 handles, chin rest, Olaf splash-card mask, and spinner.